Last week I attended a job fair where I manned a voter registration table. This was my third time doing so and as they say, “the third time is the charm.” I registered more at this particular event than the others. My first experience was at a local ice cream parlor where I registered a whopping two new voters. I felt bad for the new voters, because after sitting at our table for nearly six hours, we were so excited that we cheered. The young men probably wanted to slink away. One did not even venture inside for a dish of ice cream. The second endeavor into adding new people to the voter rolls occurred in a barber shop. As the mother of three girls, I enjoyed watching fathers bringing in their boys as well as observing the interactions of the customers with each other and the people cutting their hair. I felt like an invader in a special club. We registered four men. A few candidates apparently got wind of what was happening and strolled in and had an informal Q&A session with the guys. Not surprisingly, it got a little heated at one time. During the job fair, I was seated with three other women—one originally from Florida, another from Utah, and the third began life in the cold northern state of Minnesota. It was fascinating learning what brought us all to South Carolina and how we all ended up registering voters that day. A job fair attracts men and women from all walks of life. We were trained to show the homeless how to vote as well as to inform those who served jail time that they were eligible to vote as long as they were not on probation. This is not true in all states where, once convicted, their voting rights are never restored. I recently learned from my own research that there are two states—Maine and Vermont—where even inmates are permitted to vote! I must say that almost everyone was extremely nice to us—thanking us even if they were already eligible. The only sad encounter was with a woman who had not already registered and told us she did not want to because “my vote does not count.” Even when we pointed to the Virginia election which was decided by a coin toss, she still would not sit down and register. Oh well, that was her prerogative too. Despite my concerns about our trip to Cuba, Dad and I had a wonderful time and returned home safe and sound. Not a single night in a Cuban prison for us! I was not alone in my uneasiness and confusion regarding what Americans could and could not do when visiting this island nation. 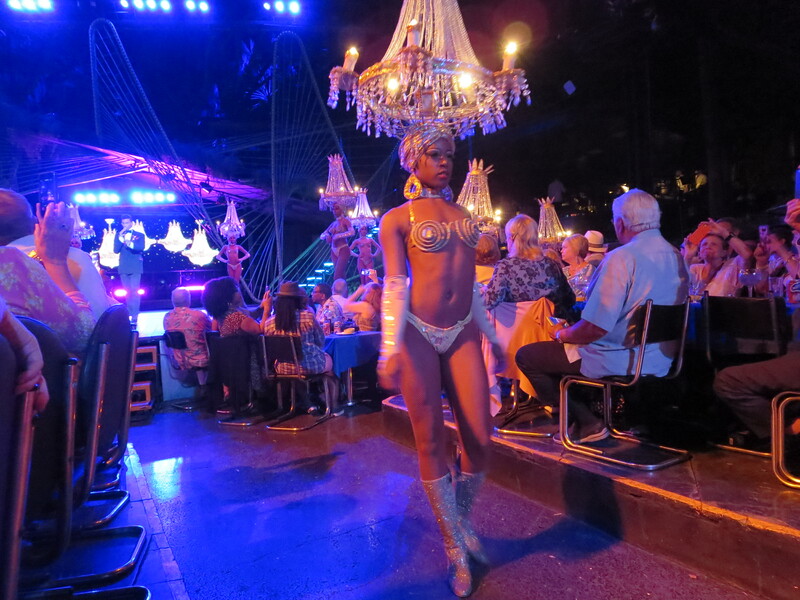 We met other travelers on our ship who were equally bewildered about our Cuban visit. The suspicious gene in me believes that the confusion is intentional. Since 1960, Americans could not travel to Cuba as tourists. Travel was limited to journalists, government officials, academics, and those with close family ties to the island. The severe restrictions began to change in 2011, and by 2016, direct flights between the United States and Cuba began to pop up as were cruises from American ports. Last year, under our new Administration, more restrictions were imposed once again. We had to sign a travel affidavit stating why we were traveling there. We jumped through a few small hoops to ensure we were compliant under the category “Educational Exchanges- group people-to-people through Norwegian or other organization.” We could not spend any money in any government-owned restaurant, store, hotel, etc. 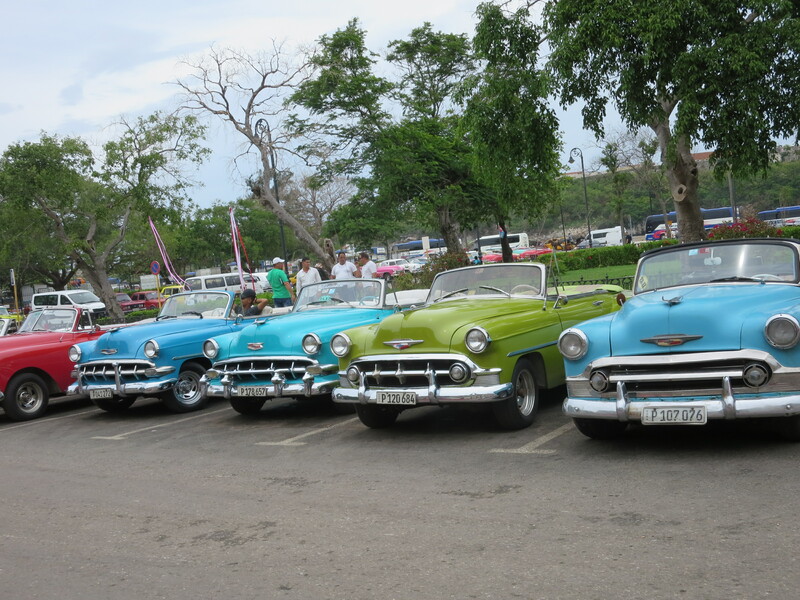 Cuba held many surprises for us—the first was regarding automobiles. We had been under the impression that we would see nothing but cars built prior to 1959, but that was somewhat of a myth. While we did not see any new American cars, we observed modern German, French, Russian, and Korean cars. I felt like I was in an episode of Happy Days. Havana is a beautiful, very clean city, reminiscent of Old San Juan with its cobblestone streets and old forts. We were surprised to see the existence of a Chinatown, although the population of Chinese in Cuba is now quite diminished from its high of 40,000 back in the 1800’s. When we visited a Catholic church, we were told that Cuba is home to Muslims, Jews, Christians, and several other religions—although the numbers practicing each religion is quite small. We learned that the population of Havana is currently 2.1 million. Wow! Unlike other islands where we were approached by individuals wanting to braid our hair, the number of people trying to sell us anything was small by comparison. We saw a homeless man on the streets of Key West, but not in Cuba. 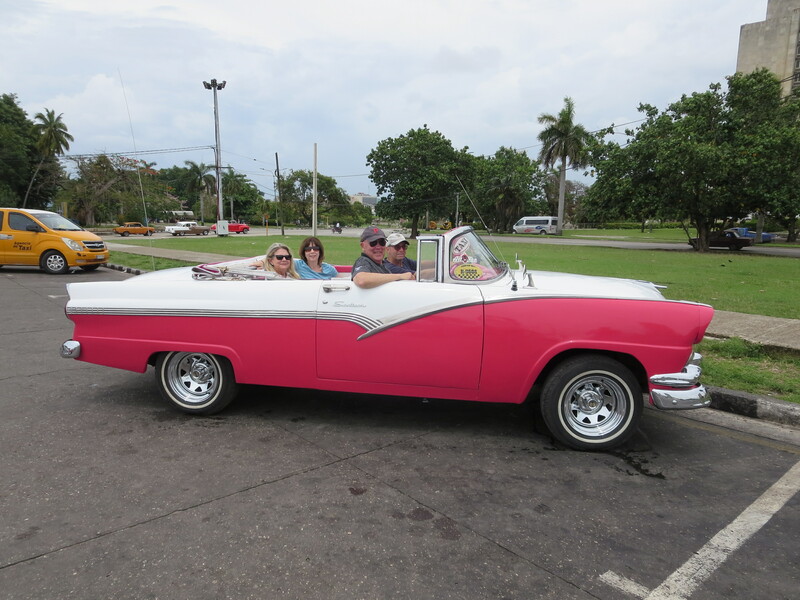 The harbor is surrounded by land on both sides, so in order to go from one side of the island to another, our hot-pink convertible traveled in a tunnel similar to the Lincoln Tunnel between New Jersey and New York. Dad and I did not expect that. We were told in advance that we would have no internet or cell service, yet our young guide carried quite the modern cell phone. So what I learned was that Cuba was not as third-world in appearance as I had been lead to believe. The nighttime show at the Tropicana Club, where we were taken to in a very modern bus, was entertaining and very-well choreographed. The skimpy outfits reminded me of what may be seen in a Las Vegas show, although I am not sure if the hats we saw at the Tropicana would be seen in Vegas. Dad thought they could be purchased in the lighting department at Lowes or Home Depot since they resembled chandeliers. We found its citizens to be extremely friendly and all seemed happy to have us visit. When our ship maneuvered into its dock, we were greeted with cheers. We felt quite welcomed, and I look forward to another visit one day. Now that I have completed my Cuba review, I have satisfied one of the obligations by the United States government for a visit, which is to document each moment of our trip and save such documentation for a period of five years. So there you go, Uncle Sam!